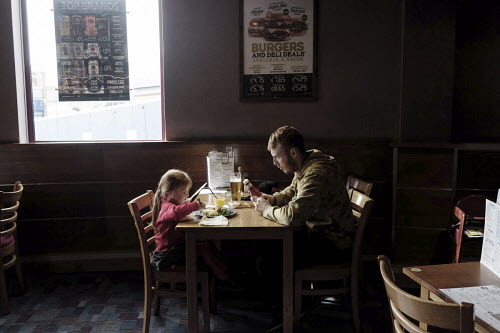 Mary is a documentary photographer and writer from the UK. 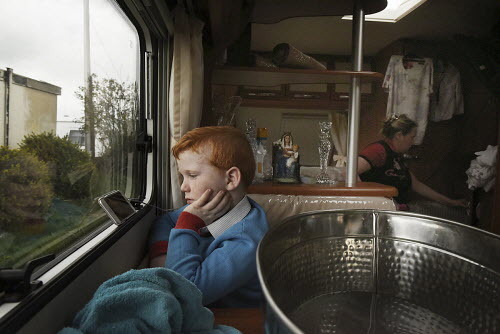 After beginning her career in press photography she became committed to telling the stories behind the news which led to her first major documentary project, the story of the Dale Farm Traveller community which she continues to work on today. The experience of building trust and an understanding of her subject, which is so important to communication, forms the core of her work. Her work has been recognised internationally by bodies including the Philip Jones Griffiths Award, Amnesty International Media Award, the Sony World Photography Award, China International Photo Contest, UK Picture Editors Guild and the Magenta Foundation. Publications and clients include The Times of London, The Sunday Times, The New York Times, The Wall Street Journal, The Daily Telegraph, The Telegrah Magazine, The Guardian, The Australian, Huck Magazine, LensBlog, Gazeta Wyborcza, Le Monde and many more. Mary speak Englishs, French and gets by quite well in Arabic. Easington Colliery was once a typical booming coal mining town in the North-East of England, where the hills reverberated to the sounds of industry, of coal and steel, of power and machination. On 19 October 2011, 86 families of Irish Traveller heritage were evicted from their homes on a former scrapyard known as Dale Farm in Essex, southeastern England.